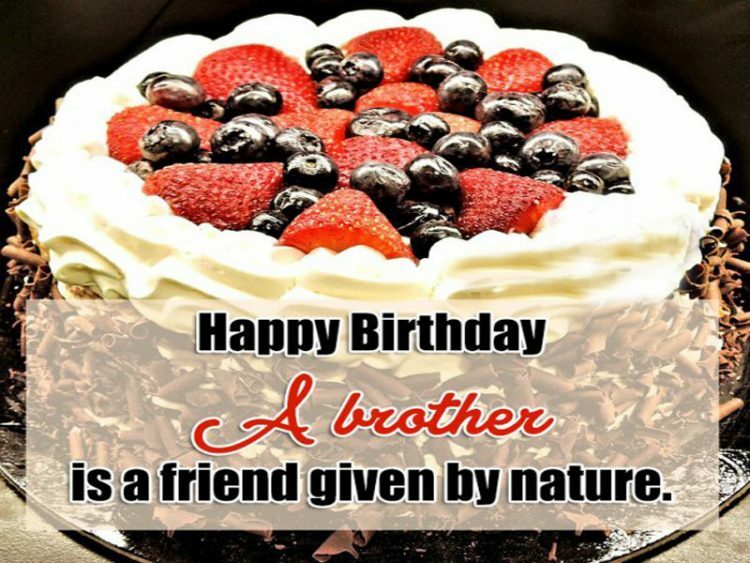 Here you will get amazing birthday wishes for brother to celebrate your dearest brothers birthday. 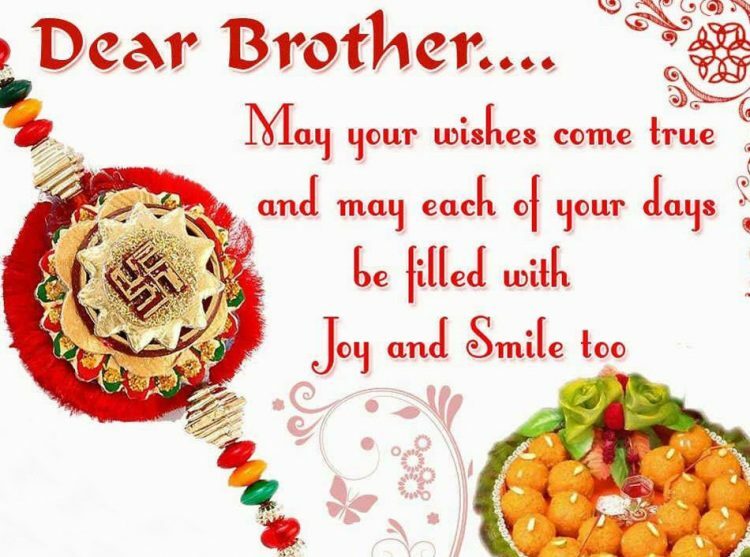 Wish your brother with these collected and most liked picture quotes and sayings. 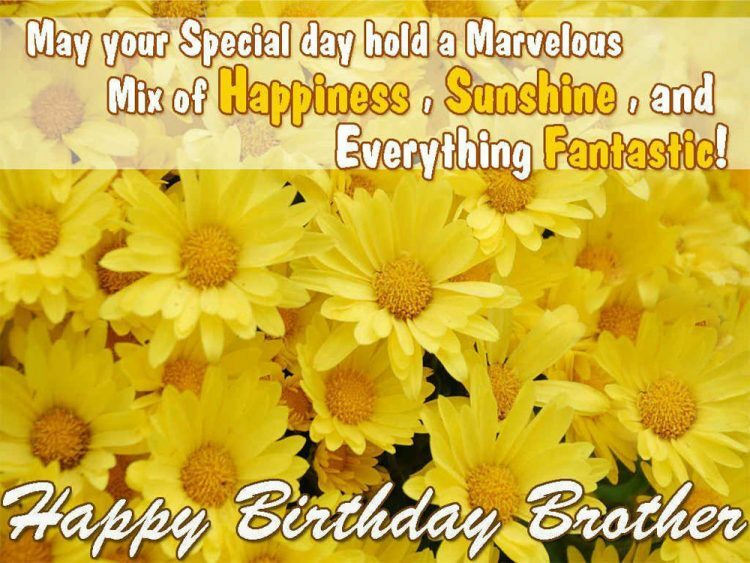 Enjoy the glorious moment and share these brothers birthday quotes to make your brother happy. Bro, no matter what life throws at us, I’ve always got your back. Happy birthday bro. Happy Birthday!!! A brother is a friend given by nature. On your birthday, many miles may keep us apart, but you are always in my heart. Next to Dad, you are the most handsome man in the family! There is something that i know about you and you know about me but the world don’t know about it.cheers to secrets.happy birthday bro. Make the most of your special day and let those around you show how much they cherish and love you. You deserve it! Happy Birthday! 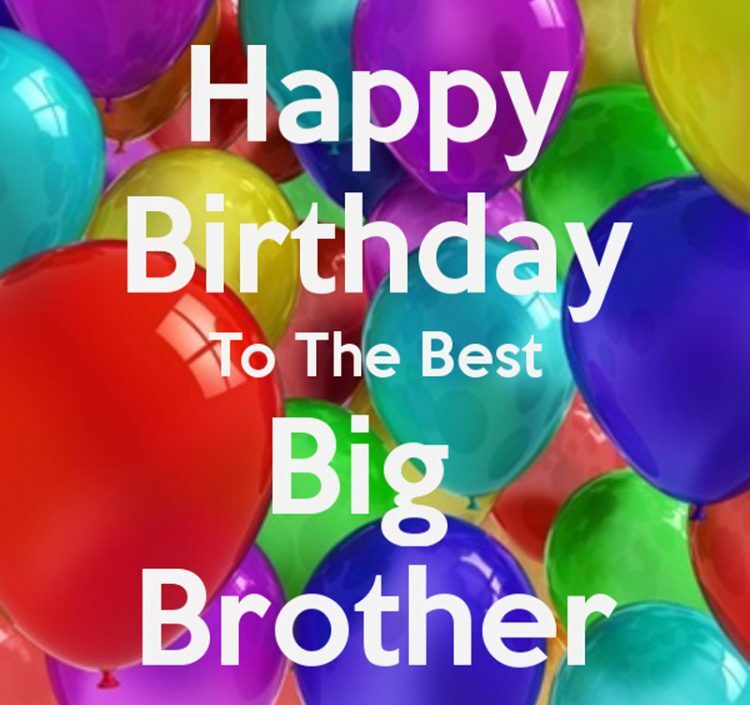 Happy Birthday to the best big brother! 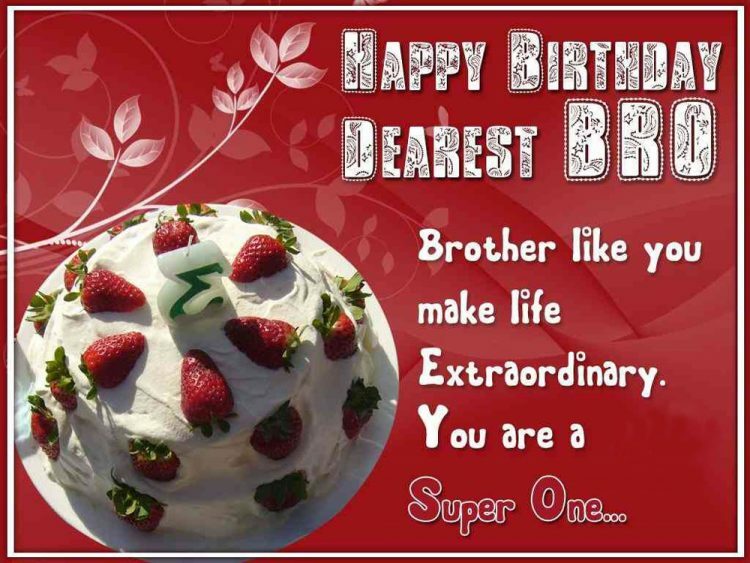 Hey.This is a brother wishing his brother a very happy birthday. Even when it seems like I want to kill you, remember that I love you. 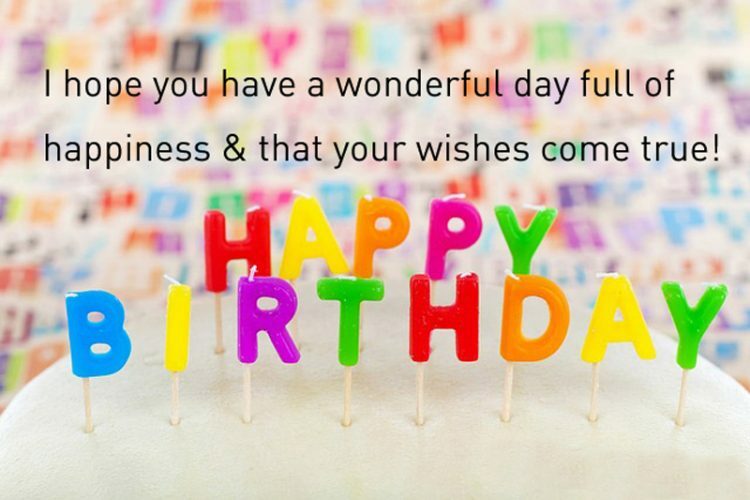 May your special day hold a marvelous mix of happiness, sunshine and everything fantastic! 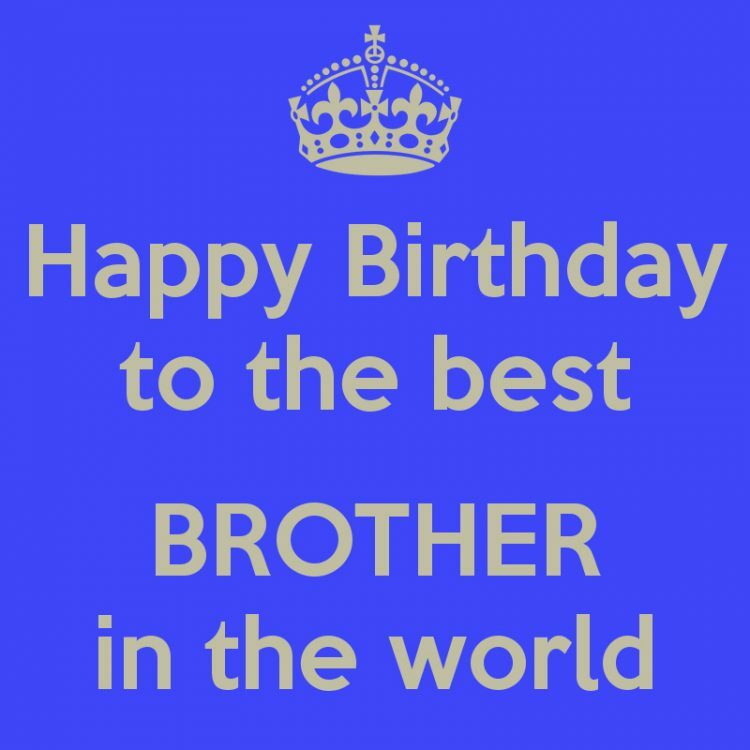 Happy Birthday Brother! 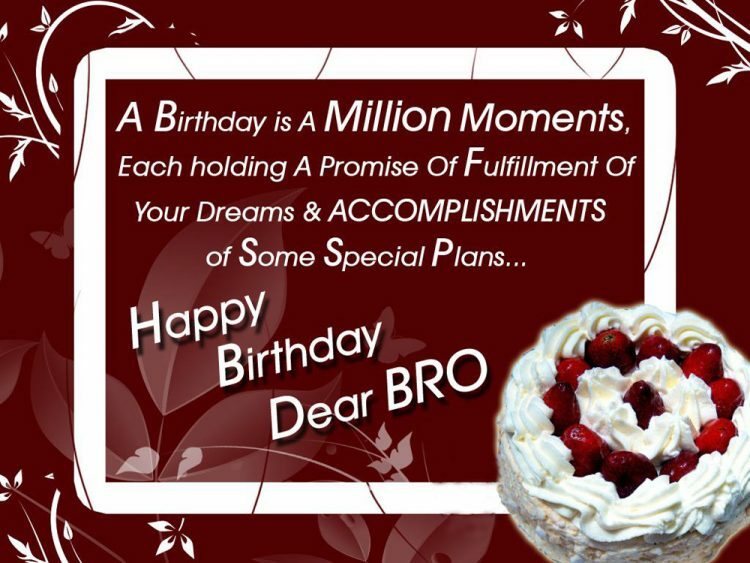 I promise you this bromance will never end.happy b’day dear brother. 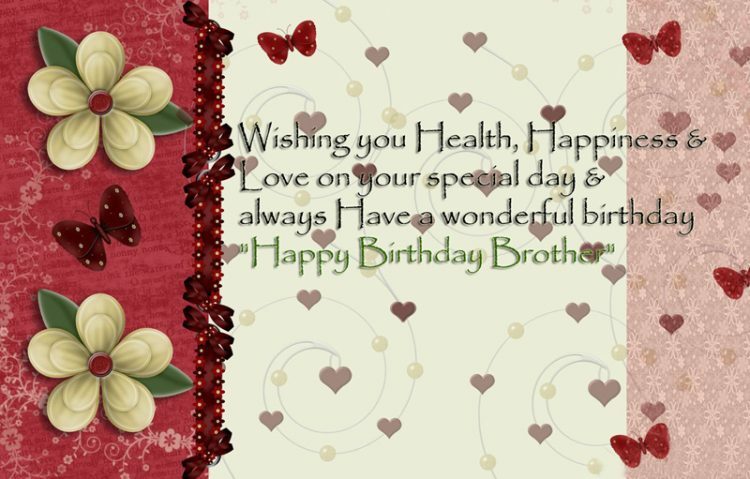 You are not only a wonderful brother, but also a wonderful friend. Happy Birthday! May your birthday be extra special may your dreams and wishes come true because no one else in the whole wide world deserve it more than you. 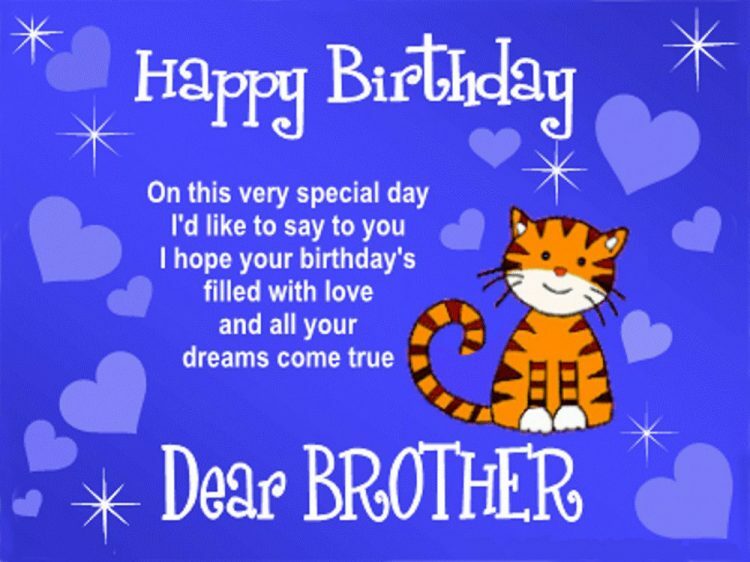 Dear Brother…May your wishes come true and may each of your days be filled with joy and smile too. You’ve always been there for me, and I will always be there for you. 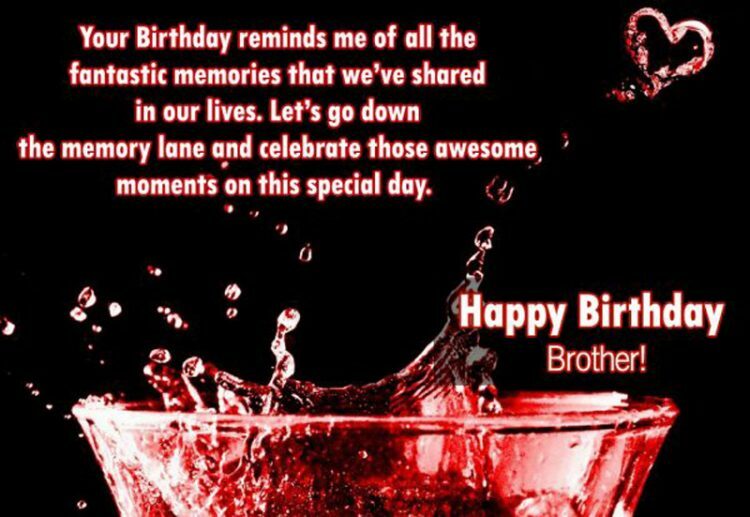 Happy birthday, brother. I’m so very lucky, I’m so happy too, to have a great brother someone as wonderful as you. Happy Birthday Bear Brother. I consider myself a very lucky person, because I found the best friend in my brother. You are a true inspiration to me, happy bday! 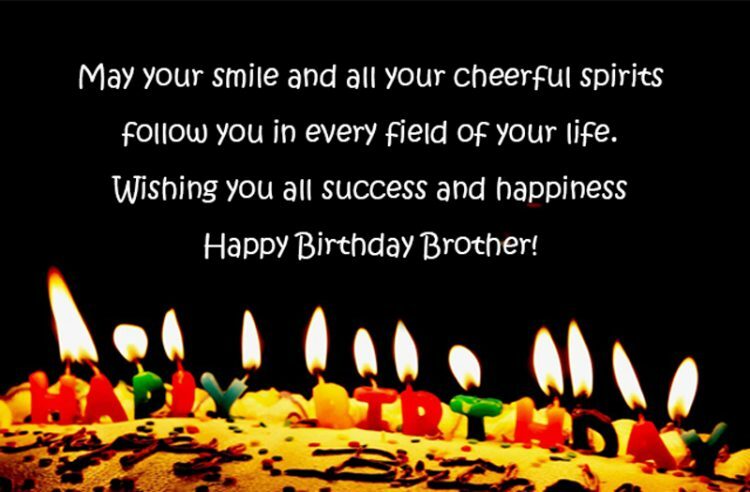 A birthday is a million moments, each holding a promise of fulfillment of your dreams and accomplishments of some special plans… Happy Birthday Dear Bro! Just to keep you smiling all year through! Happy Birthday! Our special sibling bond will always be prevalent, brother. May your smile and all your cheerful spirits follow you in every field of your life. Wishing you all success and happiness. 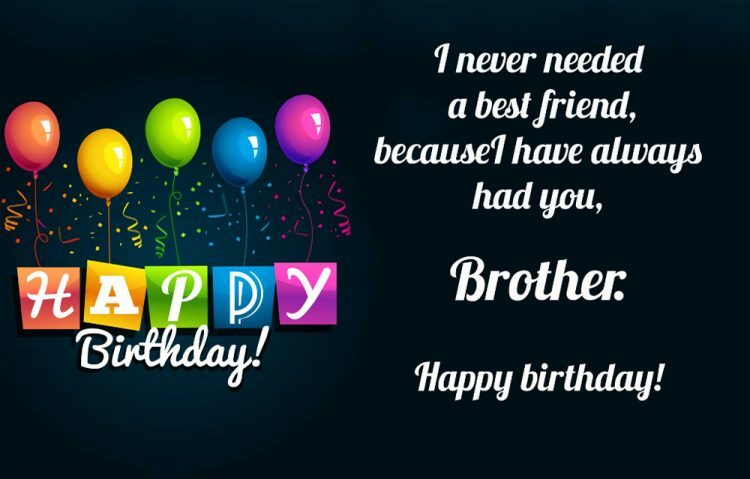 Happy Birthday Brother! 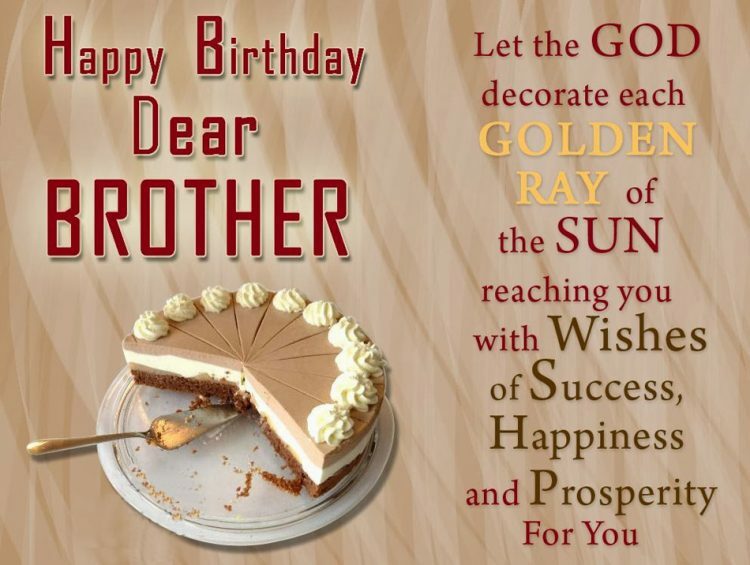 A brother like you deserves only the best, today and everyday. 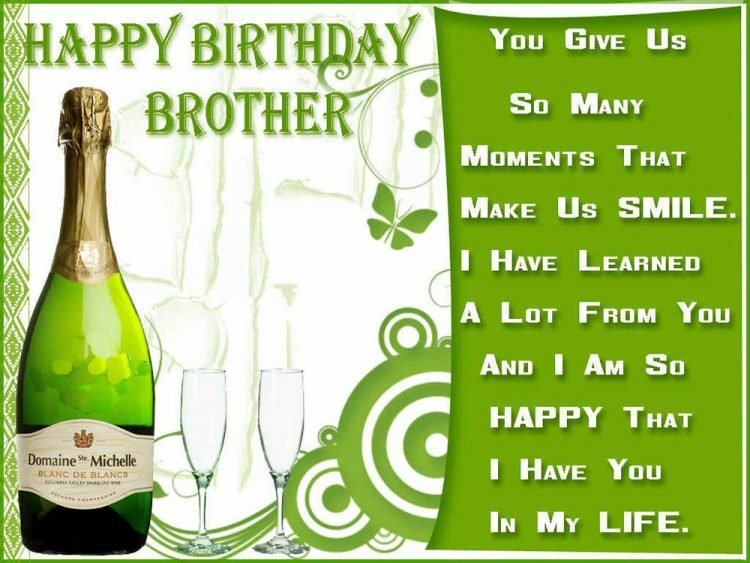 Happy Birthday to the best brother in the world! 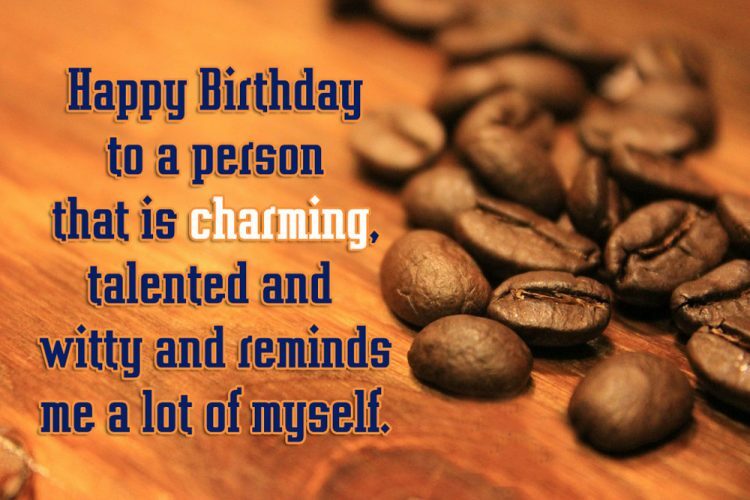 Wishing you health, happiness and love on your special day and always have a wonderful birthday. Happy Birthday Brother. Happy Birthday! 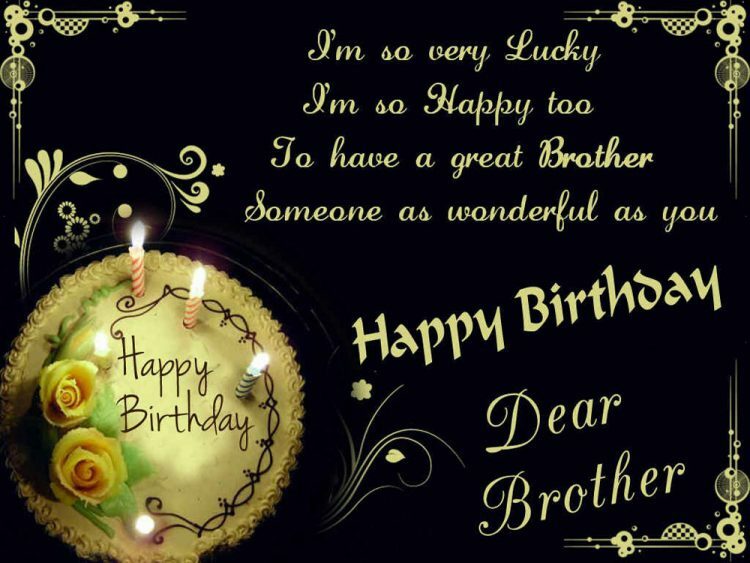 On this very special day I’d like to say to you I hope your birthday’s filled with love and all your dreams come true, dear brother!